The fetus is not a child. The fetus is not an "unborn child". The phrase "unborn child" is used ONLY by pro-lifers. The purpose of this blogpost is to refute those statements by appealing to Canadian Law. 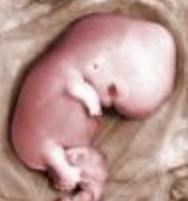 Note: I am not trying to prove that a fetus is a human being or a person. In our legal system, as you will see, a fetus is a child, but not a human being nor a person, and doesn't even have legal standing. First, what does our Criminal Code say about the fetus. Then four Supreme Court cases that dealt with the status of the fetus. 238. (1) Every one who causes the death, in the act of birth, of any child that has not become a human being, in such a manner that, if the child were a human being, he would be guilty of murder, is guilty of an indictable offence and liable to imprisonment for life. Here are four Supreme Court cases dealing with the fetus. They all refer to the fetus either as a "child" or an "unborn child" and there's even one reference to "baby". Justice McIntyre (dissenting) "On the contrary, the provision is aimed at protecting the interests of the unborn child and only lifts the criminal sanction where an abortion is necessary to protect the life or health of the mother." "Instead, an attempt has been made to balance the competing interests of the unborn child and the pregnant woman. " "If compelling a woman to complete her pregnancy interferes with security of her person, it can only be because the concept of security of her person includes a right not to be compelled to carry the child to completion of her pregnancy. " "During the first trimester of pregnancy, when abortion is less hazardous in terms of the woman's life than carrying the child to term would be (...)"
"The respondent, the father of the unborn child, obtained an interlocutory injunction from the Superior Court preventing her from having the abortion." "The provisions of the Code providing for the appointment of a curator for an unborn child(...)"
(Quoting the Quebec Civil Code) `"The curator to a child conceived but not yet born, is bound to act for such child whenever its interests require it"
"At issue, in R. v. Sullivan and Lemay, was whether a living child partially born is a person (...)"
"after a baby they were attempting to deliver died while still in the birth canal." "After five hours of second stage labour, the child's head emerged and no further contractions occurred. " "I should comment that had I reached the opposite conclusion with respect to the "persons" argument above, then I would have found the accused guilty on this count because I would have concluded that the child was a part of Jewel Voth at the time of its death." "The law of Canada does not recognize the unborn child as a legal person possessing rights. " "To extend the law of tort to permit an order for the detention and treatment of a pregnant woman for the purpose of preventing harm to the unborn child ... "
" A pregnant woman and her unborn child are one "
"The invasion of liberty involved in making court orders affecting the unborn child is far greater than the invasion of liberty involved in court orders relating to born children. In the latter case, the only liberty interest affected is the parent’s interest in making decisions for his or her child. By contrast, extension of the parens patriae jurisdiction of the court to unborn children has the potential to affect a much broader range of liberty interests since the court cannot make decisions for the unborn child without inevitably making decisions for the mother herself. " [Dissenting opinion] The “born alive” rule is a legal anachronism and should be set aside, at least for the purposes of this appeal. This common law rule, which requires a fetus to be born alive before any legal rights of personhood can accrue, is an evidentiary presumption rooted in rudimentary medical knowledge not a substantive rule of law. The limited medical knowledge of the past could not determine whether a child in utero was alive at the time it was subjected to an injury unless the child was also born alive, suffering from that injury. Today’s medical technology has improved to the point of eliminating nearly all of the evidentiary problems from which the “born alive” rule sprang, and it no longer makes sense to retain the rule where its application would be perverse. "When a woman chooses to carry a fetus to term, she must accept some responsibility for its well‑being and the state has an interest in trying to ensure the child’s health. Since the pregnant woman has the right to decide her lifestyle, a court’s ability to intervene to protect the fetus must be limited to extreme cases where her conduct has, on proof to the civil standard, a reasonable probability of causing serious irreparable harm to the unborn child. "